“A plumb line,” I said. in the middle of my people Israel. I will never again forgive them. and I will rise against the house of Jeroboam with the sword” (Amos 7:7-9). in the midst of your people. Grant us the courage to judge ourselves against it. to meet the glory of Christ. Amen. The trouble is that this translation of the passage is suspect. The word rendered “plumb line” is ‘anak, which means “tin.” In Amos’ vision, the LORD is standing al-khomath ‘anak (“beside a wall of tin”), holding ‘anak (“a piece of tin”) in God’s hand. The ancient versions all attempt to come to terms with this. The Greek Septuagint reads teichous adamantinou (an impenetrable, that is metal-sheathed, wall), and in the LORD’s hand is a piece of metal (adamas). The Latin Vulgate, understanding the piece of metal in God’s hand to be a trowel (trullu cementarii), has the LORD standing on a plastered wall (murum litum). The Aramaic Targum, as it generally does, eschews metaphor for what its translators thought the metaphor actually meant–here, the wall is a place of judgment (Aramaic din), and a judgment against Israel is in the LORD’s hand. The reading “plumb line” is relatively recent, going back only to the medieval Jewish interpreter Ibn Ezra. 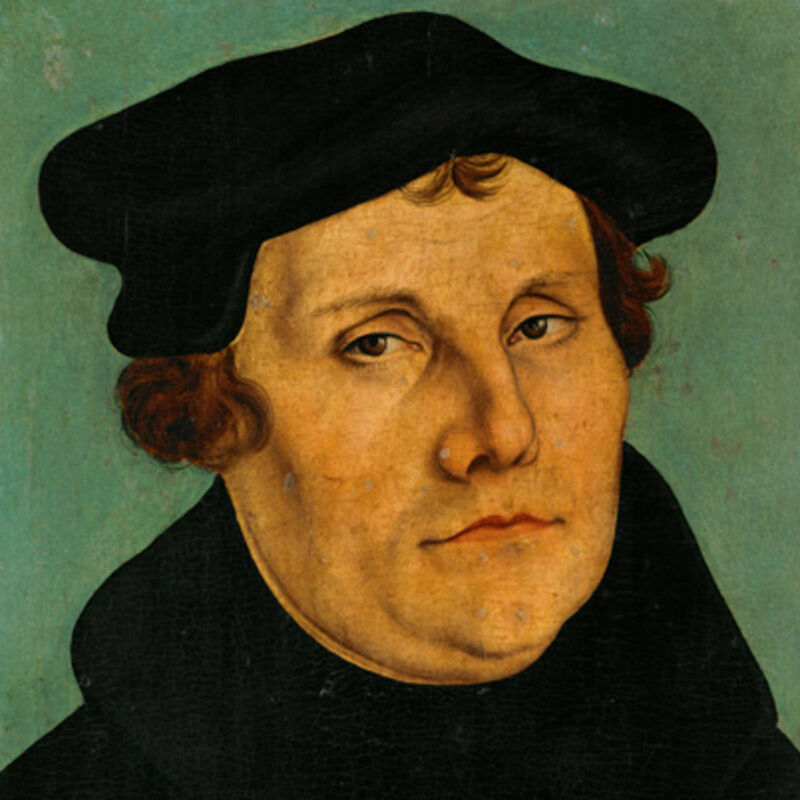 However, it was popularized by Martin Luther in his translation of Amos, and today is found in nearly every English translation, even the Jewish Publication Society’s Tanak. Although footnotes in the JPS translation suggest that the LORD holds a pickaxe, and that the wall is “destined for a pickaxe,” they also say that the meaning of the Hebrew is uncertain. However, as we have seen, the Hebrew is not at all uncertain: in Amos’ vision, the LORD stands by a wall sheathed in tin, holding a piece of tin, and says that he is placing tin “in the middle of my people Israel; I will never again forgive them” (7:8). What the text says is plain–the question is, what does it mean? Ibn Ezra and Luther apparently understood the metal in this vision to be the weight on a plumbline, and the wall to have been built with a plumbline. The point of the vision therefore is that God is holding Israel to account, testing that they are true to the LORD as a mason uses a plumb to test whether a wall is truly vertical. 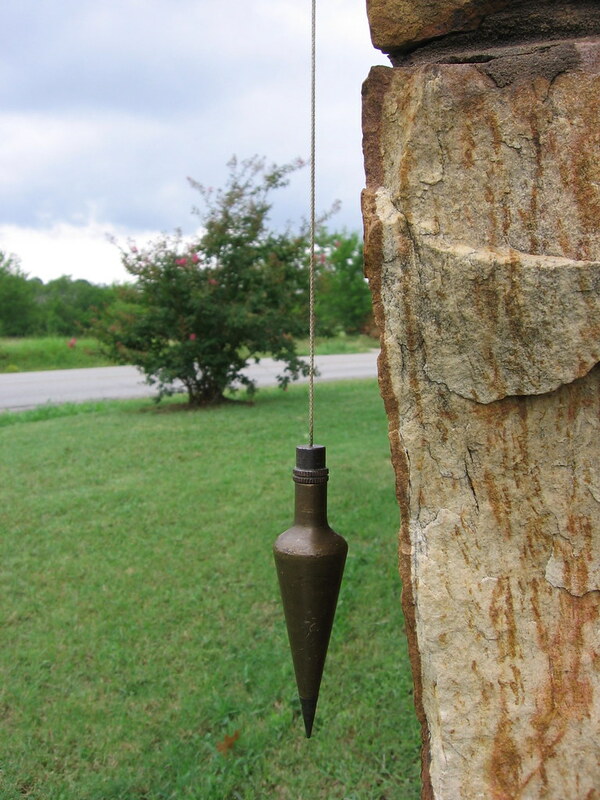 However, plumb bobs were made of stone, or lead–not tin. The ancient versions seem similarly to interpret based on the metal. But comparison with Amos’ other visions suggests another possibility. In Amos 8:1-2, the prophet is shown a basket of summer fruit (Hebrew qayits) and told, “The end [qets] has come upon my people Israel; I will never again forgive them” (compare 7:8, where that same expression is found). His vision is not about qayits (“summer fruit”) at all, but about the word “qayits”—a punning reference to Israel’s end (qets). So too, Jeremiah sees the branch of an almond tree (Hebrew shaqed), and is told, “I am watching [shoqed] over my word to perform it” (Jer 1:11-12). So what if Amos 7:7-9 is also a pun? What if the point of Amos’ vision is not ‘anak (“tin”), but something that sounds like ‘anak? As S. Dean McBride, Jr. notes, the second person pronoun in Hebrew has a complex history. The free-standing pronoun is ‘atta (contracted from an original ‘anta) or ‘at; however, the pronoun may be appended to a noun as ka or ak (meaning “your”). The first-person pronoun may offer a clue to this complexity. While later Hebrew texts prefer the shortened form ‘ani, the older form ‘anoki is also common. Some Semiticists propose that the older form of the second person pronoun may have similarly been something like ‘anak. McBride proposes that Amos’ vision of ‘anak, “tin,” in 7:7-9 is a pun on an archaic ‘anak, “you” (like qayits/qets in 8:1), so that God is telling Amos, “I am placing you in the middle of my people Israel” (7:8). This vision is Amos’ call to prophesy. I am reminded of Michelangelo, who throughout the years he spent painting the Sistine Chapel ceiling at the Pope’s command stubbornly signed his letters “Michelangelo, Sculptor.” Amos saw himself as a shepherd, not a prophet. Had he had his own way, he would never have left home. But there is no doubt in Amos’ mind that he is in the right place, whether it is the place he would have chosen or not. He is where he is because God put him there: “the LORD took me from shepherding the flock” (7:15). Amos was not comfortable, or successful. But he was faithful. The Gospel for this Sunday is Mark 6:14-29: the death of John the Baptist. 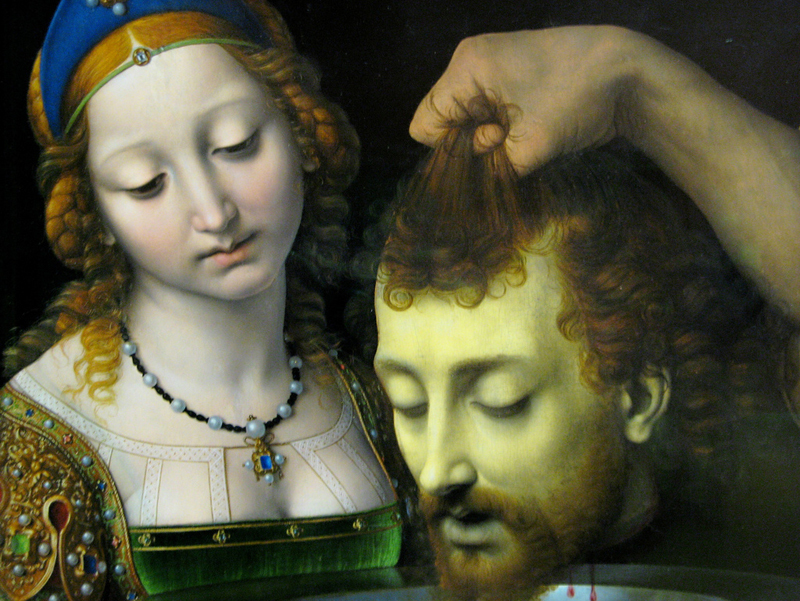 Did John the Baptist waste his life? Surely the world would say so: he offended the powers that be, wound up in prison, and in the end was executed so that his head could be given as a tip to a dancing girl. But, no—John was faithful in his ministry. He went where he was placed by God. And so, friends, must we. If we believed that following Christ’s call would save us from conflict and discomfort, we were laboring under a major misapprehension! It is not hard to see how we could have gotten there: knowing that God is love, we concluded thereby that God is nice, and wants us to have a nice life: peaceful and conflict-free. But it was not so for Amos, or for John, or for Jesus, and it will not be so for us! God is love–but love wills the good, not the nice; justice, not expedience. Elsewhere in his prophecy, Amos makes this plain: “Woe to them that are at ease in Zion!” (Amos 6:1, KJV). We too, I am persuaded, have been placed in the midst of God’s people, called and empowered for such a time as this. God grant that we will be faithful.